Winter break is just around the corner and brings a sigh of relief to students following an intense week of final exams. It is a time to celebrate with festivities that continue all the way through the new year. However, one of the things some students may encounter over the month-long break is a lack of things to do around the area in between holiday based activities. You don’t have to worry though; many things are available to do, and with just a little time, money and transportation, the following ideas can brighten up a slow-moving week during your break. 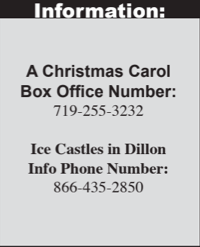 The popular holiday play by Charles Dickens, “A Christmas Carol,” is playing at the Ent Center for the Arts every weekend and some weekdays through Decr 24. A perfect play to get in the spirit for the holidays, this play costs anywhere from $20-$40 and runs about an hour and a half long. Another option for those interested in the arts is the Cottonwood Center for the Arts. There is a wide range of art classes to choose from to let your inner artist shine through. Some classes offered include pottery, drawing, water color painting and acrylic paint pouring (which consists of manipulating the canvas surface with reactive ingredients). There are weekly classes offered as well as options for drop-in sessions throughout the week. Continuing on an entertainment note, some new movies are coming out in December that are bound to be big hits of the year. The Disney movie “Mary Poppins Returns” hits theaters on Dec. 19 and follows the original movie released in 1964. Jennifer Lopez stars in the romantic comedy “Second Act” which is set to be released on Dec. 21. For people who like a little more action, “Spider-man: Into the Spider-Verse” will be released on Dec. 14. For those who prefer to spend their time outside enjoying the weather, several events and things are going on throughout the month for you as well. Another event going on not too far from the ice castles is the Ullr Fest at Breckenridge. The festival is going on Jan. 9-12 and has several different events going on including an ice plunge, parade and bonfire. For people preferring to do things a little closer to home, the Seven Falls winter lights is a great festivity going on in Colorado Springs through Feb. 24. Spending some time at the Garden of the Gods is always a good way to spend a day, and every Thursday from 4 p.m. – 6 p.m., a 5k fun run/walk is hosted for free throughout the park. If you are feeling generous during the giving season, there are many volunteer opportunities at local animal shelters and food shelters. The Pikes Peak Region Humane Society always welcomes volunteers and is always searching for foster volunteers. Having more than a month off of classes and not much for plans is the perfect opportunity to foster an animal for the month. Other opportunities include the Care and Share Food Bank, Springs Rescue Mission, and the Children’s Literacy Center. You can check out VolunteerMatch.org to find the perfect volunteer option for you. 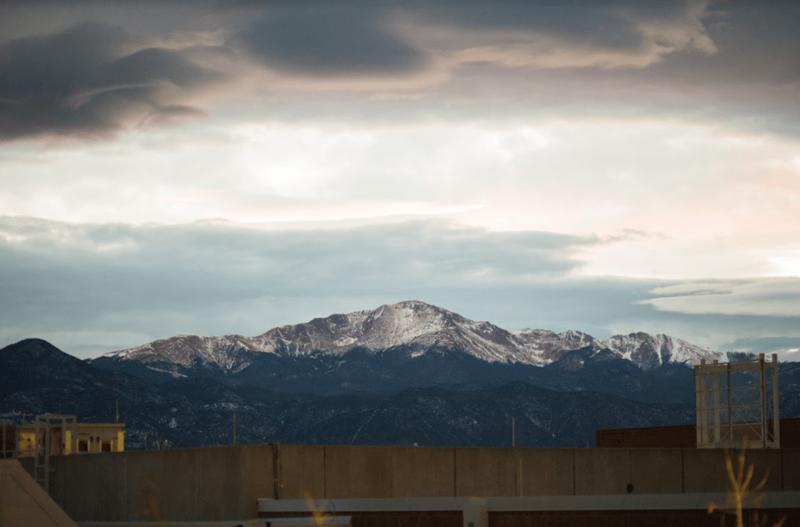 Whether you prefer to be inside or outside; entertained by latests releases or finding your own adventure there are plenty of activities for you to enjoy in Colorado Springs over winter break.